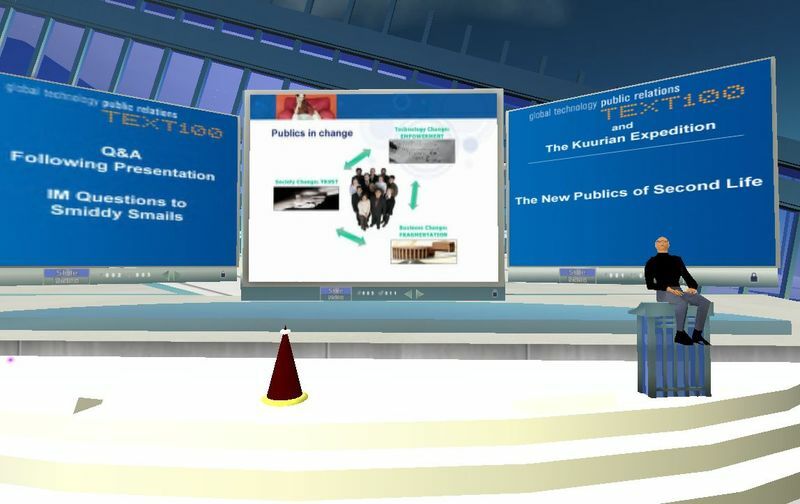 Yesterday Gregor Kondo of Text 100 presented his views in Second Life on “The New Publics” in a gathering of the Kuurian Expedition. Unfortunately, a real-world meeting called me out of the question and answer period, but I have posted the transcript of Gregor’s talk below [full transcript]). Gregor’s thesis is that we are living more individualized lives today that are not as “regulated” (influenced) by public institutions, brands or even our doctors and lawyers. Gregor stated that as a result of this people are building trust in “new ways” – i.e. with people that share our interests – and that technology allows us to find these peers. Gregor refers to “new publics” as people inventing their life in communities of peers. In actuality, people have always lived their lives in communities and “trust networks.” Today those communities may be geographically dispersed and trust networks may be larger, or perhaps more narrowly focused; but the fact is people have always trusted each other more than organizations – always. In fact it is these peer communities that often track to the demographics marketers and media use so heavily today to segment markets. There is no causation in the formation of peer communities to the lack of trust in institutions. There is, however, causation between technology-connected people networks and the expansion of peer communities. People have always trusted each other; networks are simply amplifying their ability to connect to each other. The result is organizations have lost some/much of their power as intermediaries. Because people were previously limited in their ability to connect by pure geography, organizations (of many kinds) served as connection points. Today, the role of the organization is changing/diluted to that of a participant within a community of interest because people are not dependent upon any organization as the hub. This is where marketers, communicators, and business leaders fall into a bit of a trap – thinking of participatory technologies as creating “new publics.” Anyone who has suffered through one of my presentations can hear me saying at this point “this is sociology, people, not technology.” All those “web 2.0” applications are simply enabling / amplifing something we as people (publics) have always been doing. The difference is marketers, communicators and business leaders are seeing it andfeeling it. It is the “democracy” effect. But what about the question of “new publics” in Second Life? I believe the answer is yes – virtual worlds may indeed be creating “new publics.” But not because people are connecting in “micro communities” within SL as either an augmented or an escapist social network. I believe virtual identities open up the question of “new publics.” People are people inside SL, just like outside SL. But their interests are typically quite different in virtual spaces, their needs and desires are different in virtual spaces, as well as what it is possible for them to attain. Their values may even be 180-degrees different in virtual worlds. My virtual and real-world identities might be transparent or they may be completely hidden from each other. But in either case what I value and what I wish to experience in each environment may intersect very little. The nature of Second Life – and massively multiplayer online environments in general have ‘role playing’ as a core feature or value. People can of course role play in the more “transparent” virtual spaces of 2D social networks, like MySpace, but it is less of a core feature – or as easily maintained – as in 3D immersive environments like Second Life. In virtual worlds social capital is at least as important as, and perhaps more important than, financial capital. One’s virtual identity creates, expands and spends this social capital – and it does not necessarily impact in any way one’s real world social connections. In my mind, learning how virtual identities create “new publics” is where marketers and communicators will need to focus. That means they will also have to participate through their own virtual identities. Hmmm. How interesting will this get? What are your thoughts on “new publics” in virtual worlds? 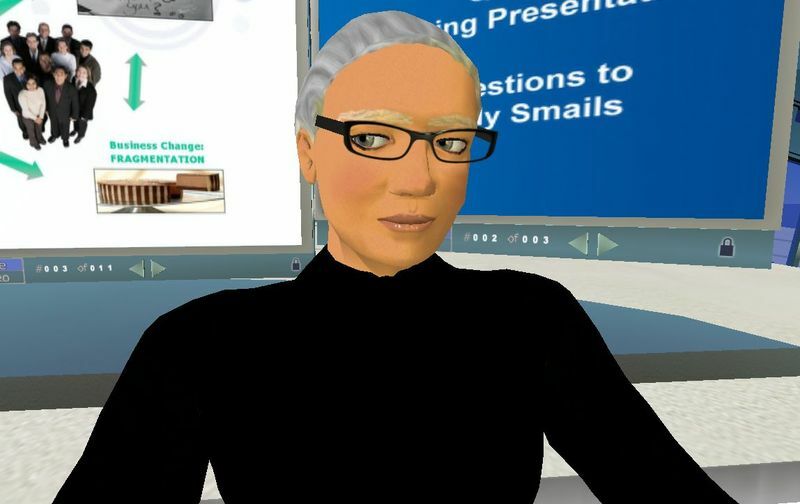 Originally posted at my blog, Business Communicators in Virtuality, 2006.